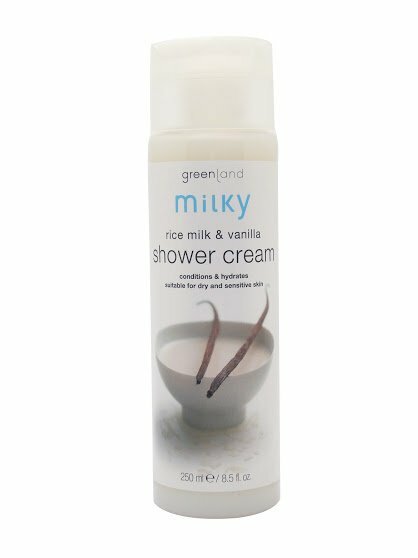 Balmy shower cream that combines the soothing effect of rice milk with subtle vanilla. The added milk proteins and lipids hydrate the skin. 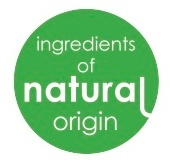 The Milky products use a 'milk' as basis and the ingredients have been carefully selected. This makes Milky ideal for dry and sensitive skin. After showering, use Milky rice milk & vanilla body lotion or body butter to experience the same fragrance. Aqua (Water), Sodium Laureth Sulfate, Sodium Chloride, Cocamidopropyl Betaine, PEG-200 Hydrogenated Glyceryl Palmate, PEG-7 Glyceryl Cocoate, Parfum (Fragrance), Styrene/Acrylates Copolymer, Diazolidinyl Urea, Tetrasodium EDTA, Prunus Amygdalus Dulcis (Sweet Almond) Oil, Citric Acid, Cetearyl Glucoside, Glycerin, Propylene Glycol, Xanthan Gum, Glyceryl Stearate SE, Oryza Sativa (Rice) Extract.